Omega Seamaster Anakin Skywalker - It Hasn't Turned To The Dark Side.. Yet. Omega Seamaster Anakin Skywalker – It Hasn’t Turned To The Dark Side.. Yet. 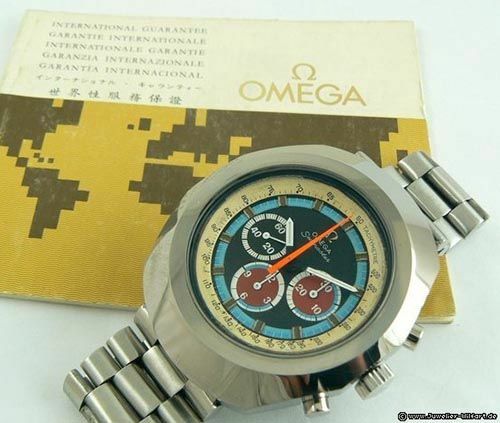 Omega made a lot of weird and funny looking watches during the 1970s, I guess the Seamaster ref.145.023 is one of them. It has been introduced in a black ceramic version and a high polish tungsten-chrome finished version, both from the early 1970s and identical in terms of dimensions, used movement and rarity. Chronograph legend Chuck Maddox nicknamed the tungsten-chrome Seamaster ref.145.023 as being the ‘Anakin Skywalker Seamaster’ and the black finish model as the ‘Darth Vader’ Seamaster. On his website, he described the two watches in detail (click here). Today, I noticed that a German watch dealer has a Anakin Skywalker Seamaster for sale, in very nice condition and complete with Omega’s Warranty Certificate booklet, as they did in the 1970s (and earlier on). It appears to be in great condition, the seller describes it as being in a “90%” condition, and comes with a 12 month warranty. This odd looking Seamaster with the renown Omega caliber 861 – based on Lemania – movement, is a real stunner. The same type of movement has been used in the Speedmaster Professional ‘Moonwatch’ from 1968 till the 1990s. 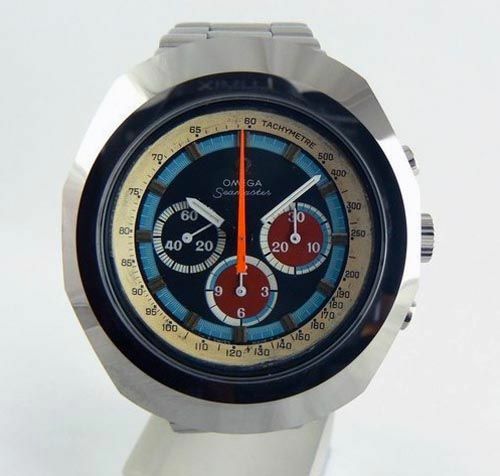 Jeweler Wilfart in Germany is the seller and asks 2.890,= Eur for this rare Omega Seamaster chronograph. Click here for more information.